Our llama philosophies are simple. We want you to know about these wonderful animals before you buy them and we want you to have a good fit with your animals. So many people get "good deals" and are left with untrained or worse yet, unhealthy animals. This leaves the owner feeling like they had a bad llama experience. Whenever we sell (or make a reference to buy) a llama we train it with a training sheet and at an expected training level. If our farm doesn't have something that will be a "good fit" for the new owner, we will refer the sale to another reputable farm. We keep an inventory of quality animals that are at various farms around the state (brokering). No recommendations will be given to any farm that does not share this "good fit" philosophy. The llama experience should never be based on making a buck. It is not right for the animals or the prospective owners. It is for this reason that JNK will never-offer more than 1-3 animals a year for sale. While these animals will be at a higher price, their value will be reflected in the training and quality level. Niki personally trains each animal to her specifications prior to selling them (do you want a Geo Metro or a BMW sports car?). 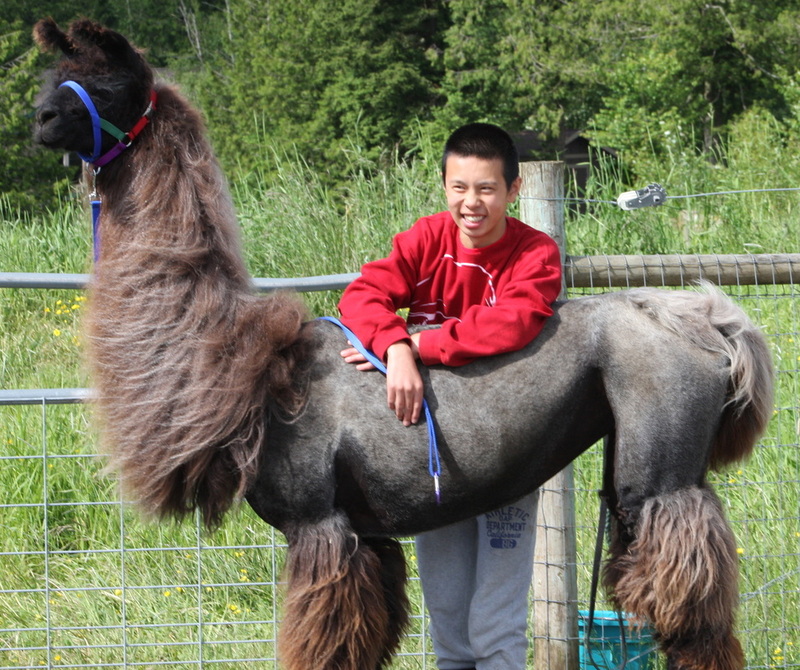 These specifications are the ability to pick up legs, haltering and leading, loading in a trailer (van sometimes), showing experience, desensitizing of the body, head and legs, obstacles, pack experience, grooming, socialization and finally, if they are old enough, they will be introduced to driving. 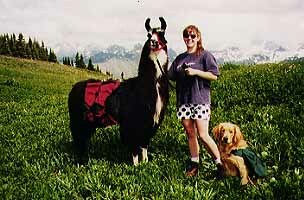 If you are inexperienced and your llama is untrained it does not work well usually. 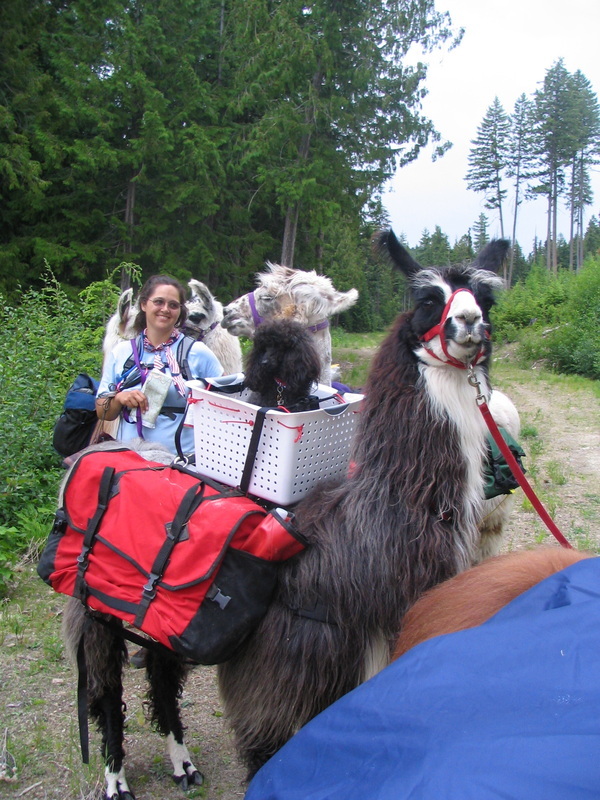 We highly recommend you buy older trained geldings or females for your first llamas. Don't buy male/female combinations as the males will breed the females and usually even after being gelded. We also don't recommend baby llamas for new people as the llama and the owner are untrained, this is a bad combination in most cases. It should also be noted that males used for guarding may breed and smother small livestock that you put them in to guard. Breeding is a commitment and should be carefully considered before plunging in! Niki also is available for consultation in buying an animal or looking at your current herd. She has a vast knowledge of bloodlines﻿ and can help to recommend the lines that will produce your desired program. References are available on her skills. A big piece of advice we would give is: look at several llamas before you purchase one and hopefully visit many farms too. Ask questions like: May I halter the animal? Why are you selling this animal? Can I pick up his/her legs? What sort of training have they had? Why is this a good llama for me? 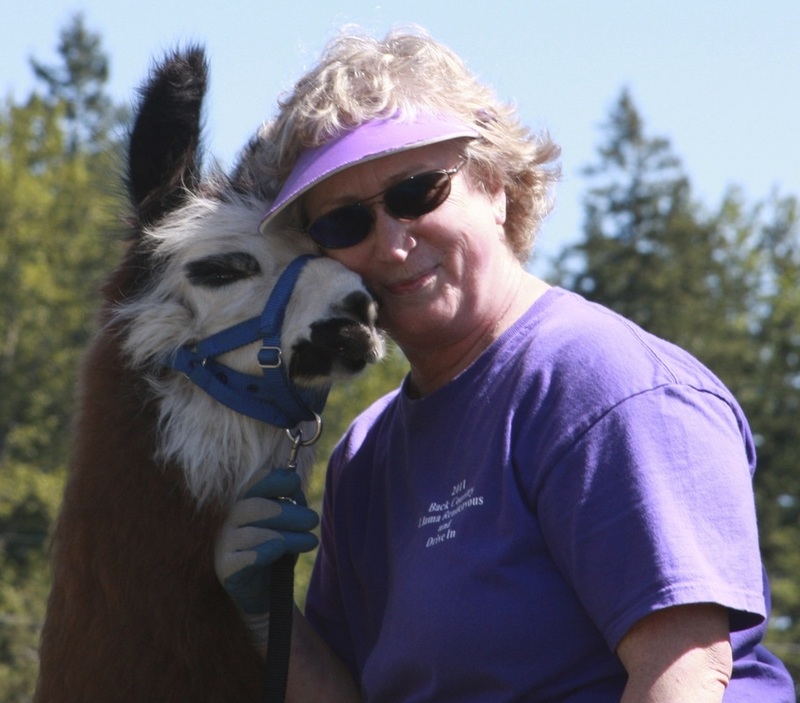 Can you help walk me through the process of owning a llama? Will you be available for questions after I purchase an animal from you? What do you guarantee with animals you sell? Talk to other breeders and find out what this farm's reputation is like, DO NOT IMPULSE BUY. If you don't feel satisfied with any of the answers to these questions, you should consider looking elsewhere for your animals. You need to decide what you want to do with llamas before you just buy them. Also, everyone always says, "I just need pets, not show llamas." Even pets need to have sound bodies and be raised with proper nutrition, training and care. Without this, they often times end up broken down and or experiencing health related issues.